Eric Nolan of the Legendary O’Jays, has now added radio personality to his individual talents as an artist. When he is not touring around the world, recording with the O’Jays, and his recording own solo albums, Nolan spends time listening to the music of other artists. In fact he is a fan of R&B, specifically a fan of Washington, DC with its rich music history and passionate music fans who come out and support the artists who make the music. On The Eric Nolan show listeners will hear their favorite music and stories about their favorite artists that can old be told by someone who has spent years on the road touring and working with them. This show will appeal not only expose DC to some of the inside stories behind some of the music that has made R&B history, but it will also showcase new up and coming DC artists. Artists appreciate the passion shown by DC audiences, making it a must play market, so much so, that DC is said to have more live music venues and performances than almost any other market in America. In addition to the audiences, DC is also home to some of the most important R&B, Soul, Jazz, Hip-Hop and Go-Go artists in music history. Artists like Marvin Gaye, Johnny Gill, Kenny Lattimore, Raheem DeVaughn, Marcus Johnson, Carolyn Malachi, Wale, Roberta Flack, Ginuwine, Mya, Tank, Stacy Lattisaw, E.U. , Rare Essence, Trouble Funk and of course Chuck Brown, Duke Ellington and all the other adopted artists attended Howard University and decided to make their name and Washington, DC their home. In 1997 Eric performed on his debut O’Jays’ album ‘Love You To Tears’ which hit the R&B charts. In 2001 the O’Jays released their “For The Love” album which was a chart-topper that received a Grammy nomination in 2002. In September 2003, Eric appeared in his debut film “The Fighting Temptation” starring Cuba Gooding, Jr. and Beyonce Knowles receiving a Gold Record Award for his contribution to the movie’s soundtrack. Later in 2003, Eric received an Honorary Doctorate of Arts from Shaw University in Raleigh, NC. In 2004 The O’Jays recorded the album ‘Imagination’ under Beyonce’s Dads Music World label. In 2004, Eric as a member of the O’Jays, was inducted into the Vocal Group Hall of Fame in Sharon, Pa. and in 2005 the prestigious Rock and Roll Hall of Fame in Cleveland Ohio. “For the Love Of Money” became the theme song to the hit reality TV show “The Apprentice,” which Eric performed live at the taping of the show’s season finale. 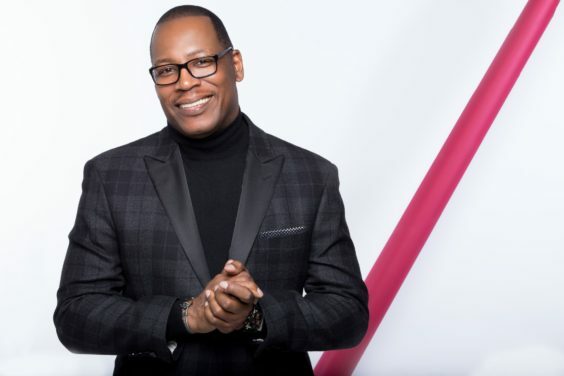 Eric also began to market himself as a writer, and along with business partner JayShawn Champion, have co-written songs for Charlie Wilson (Stay/Show You), Johnny Gill (Strung Out) and ConFunkShun (Your Night).